At a length of 33' 1" and a width of 8' 0", you'll enjoy plenty of living space in this Travel Trailer! There's room for the whole family to lounge comfortably, especially when the weather turns sour. But you'll have no worries there, thanks to the efficient 25000 BTU furnace and the modern 13500 BTU a/c unit! They'll keep the temperature indoors perfectly comfortable no matter what's happening outside! 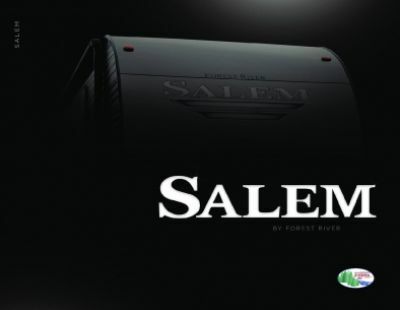 Nothing beats a restful night's sleep when you're on the road, and the Forest River Salem 27REI provides your family with great sleeping accommodations for up to 5 people, including a terrific bedroom! The Queen bed is roomy and comfy and you'll drift off to sleep in no time! Do you dread that morning trek through the campground to the cold, damp, crowded public restrooms? Here's the great news! 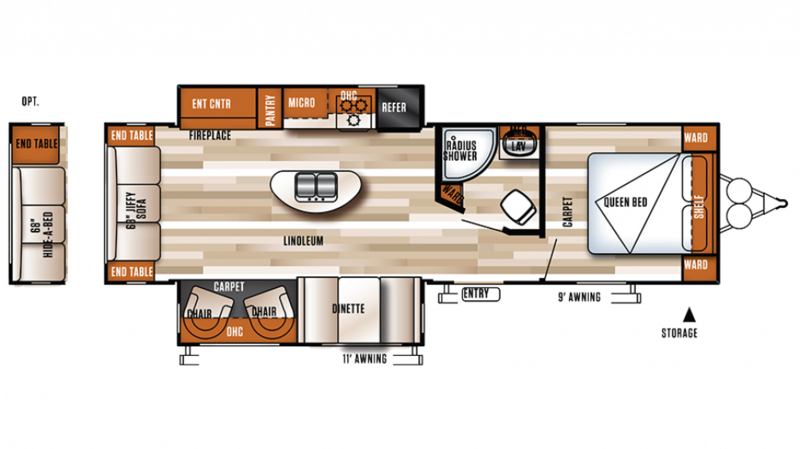 The Salem 27REI has its own full bathroom, complete with shower, sink vanity, and Foot Flush toilet. You'll enjoy all the comfort, convenience, and privacy of home!